If you know me, you know I have a love of organizing my home. I used to own a professional organizing business and often spend my free time cleaning out something, reorganizing and finding ways to make our home flow better. The problem is that I always feel like I’m cleaning and organizing my home and figuring out solutions to make it flow better. My brilliant systems seem to fail me over and over again. 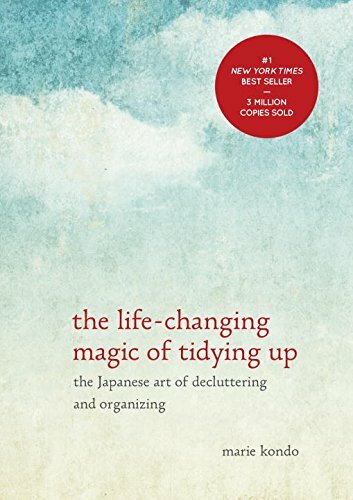 At the beginning of this week, I received an email about the book The Life-Changing Magic of Tidying Up: The Japanese Art of Decluttering and Organizing. The title had me at the words life-changing, magic, tidying up, Japanese, decluttering and organizing. Yes, that’s like the entire title. I immediately bought the book and dug into it. which introduced me to the KonMari method of organizing. So many things she said in this book resonated with me. She guides you through the process of digging down deep and deciding what you want from your space, why you want it tidy and what kind of life is important to you. One client said her dream was to have “a more feminine lifestyle“. Meaning she wanted her floors clear of clutter, with a bedroom that had a pink bedspread and a white antique lamp. She also wanted to have a bath before going to bed, one that was relaxing with aromatherapy oils and listen to classical music while she did yoga. She wanted to fall asleep with “a feeling of unhurried spaciousness“. That sounds amazing to me and similar to my dream for my space. 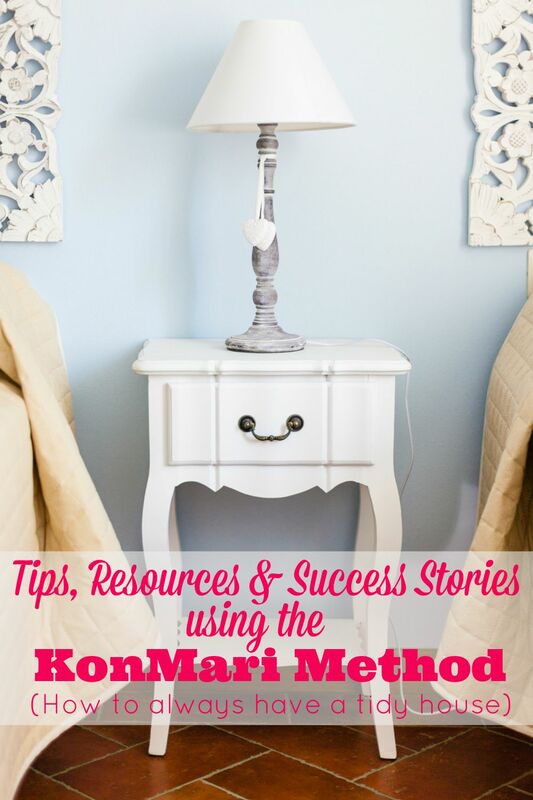 I did some digging on Pinterest to find posts about the KonMari Method and wanted to share my findings with you. You’ll find printables, tips and pictures of other who are using this method successfully. My goal is to get my house in order using the KonMari Method. I’m both excited and slightly terrified of the process, but what I envision for my home and myself after this process is miraculous. Wish me luck! I’ll update you on the process both during and after. Have you heard of this method? Have you tried it? Are you curious about it? Let me know! I read the book not long ago and couldn’t wait to get started on tidying. It went very well! I got rid of 4 garbage bags of clothes alone, a large box of jewelry and accessories, and just stuff I felt too guilty throwing out. Best thing that’s ever happened to me. I had never before felt so much peace in my room. That’s great to hear Kayleigh! I have such a long way to go, but what I’ve done so far has definitely given me some peace.